The beginning of a new year is a great time to take stock of all your measurement devices. I'm thinking that peak time around your company is winding down now, and you have a bit of time to devote to some proactive maintenance. Run your spectros through any diagnostic programs that are available for your devices. Barbieri has a software tool called "Service Report" for all of their instruments and X-Rite has a utility called "i1Diagnostics" that has been recently updated to work with the i1Pro 2 and IO 2 table. The reason why you want to run your instruments through these tools when there is nothing wrong with them, is so you can have a record of what your instrument looks like when everything is good. Run your instrument through the diagnostic tool, save the result and keep it for the future. Someday you'll thank me when you have a color problem and the idea goes through your mind, "I wonder if the instrument is bad?" You can run the process again and hopefully say, "Well the service report shows basically the same numbers it did when we ran the same test back in January." An even better way to have assurance of instrument accuracy is to measure a control tool on a regular basis. This control tool would be a control strip that is specially made to be stable and colorfast for a long time. We sell the Vogelsong COLORef and also bundle it with our MeasureWatch service of Maxwell. This combination gives you a quality control strip as well as an easy way to track the accuracy of your device as you make routine instrument checks over time. The idea is that if an instrument is going out of spec. you'll know about it ahead of time. 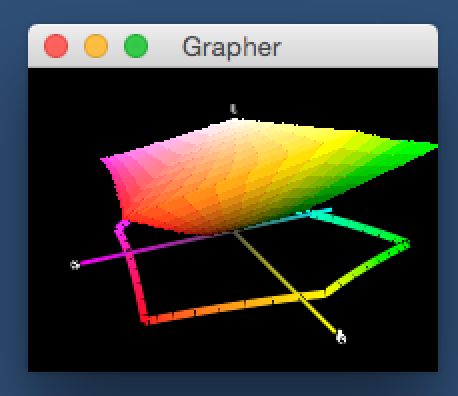 Looking forward to Color Conference in December! December 6th - 9th, 2014 - The 2014 Color Conference presented by the Printing Industries of America, the conference will be at the Hilton Scottsdale Resort and Villas, Scottsdale, AZ and is always a favorite stop for CHROMiX to end the year colorfully. Please come on by our booth and say hello to Rick, or attend one of Steve's or Pat's sessions. We'll look forward to seeing you there! Apple's Yosemite version of Mac OS X (v10.10) has just been released. 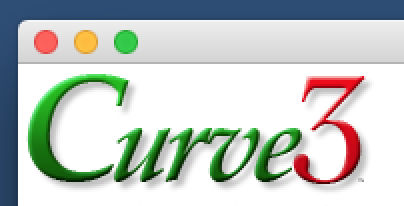 We've completed some preliminary testing for ColorThink 3.0.3 and Curve 3.0.1 and both seem to be running well. We'll be testing Maxwell and the Maxwell Client on Yosemite in the days ahead and will let you know if we find any issues. Hey everyone… I just spent an hour discussing color management on the NEC Google+ hangout panel. It was a live discussion and a YouTube video recording is available at NEC Google+ hangout discussion. Check it out! Maybe this seems rather regressive, but in a day and age when people are using their phones to send text messages, this could be the next Big Thing. 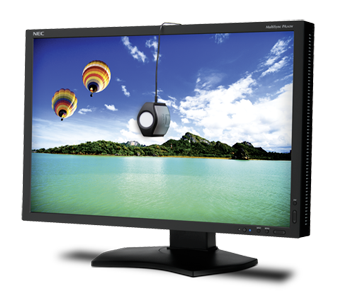 We have posted new reviews of the latest generation of NEC displays for high end color work. The PA242W, PA272W, and PA302W make use of LED's in their backlighting. 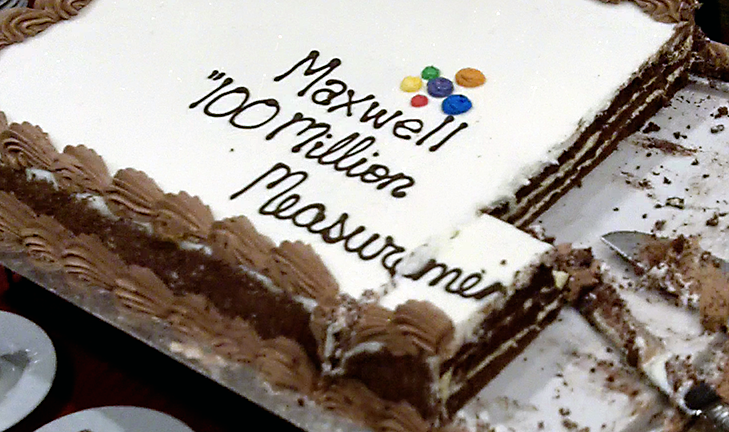 This past November, Maxwell reached a milestone of having received 100 million measurements! 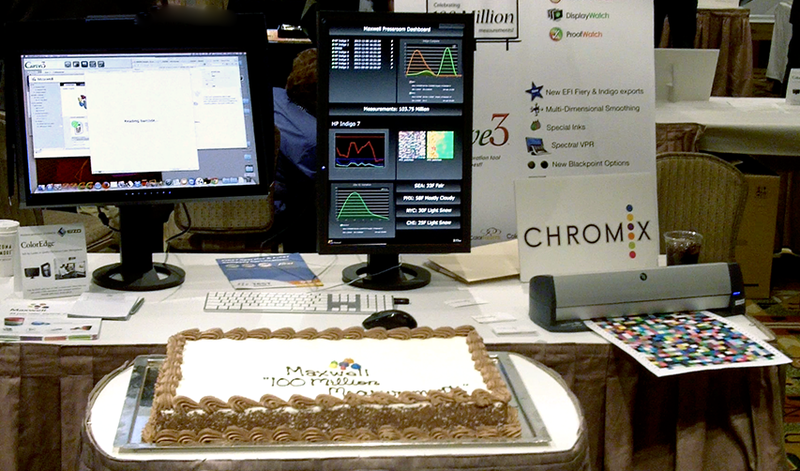 To celebrate this, CHROMiX provided fancy cake for attendees at the 2013 PIA Color Management Conference (in Phoenix, AZ on December 8th). This is the same trade show where we originally announced Maxwell seven years ago. It was a perfect place and time to mark this great milestone. It was also some excellent cake. Lots of people came by, had some cake and took a look at Maxwell. As of today, Maxwell is at 114 million measurements and climbing! 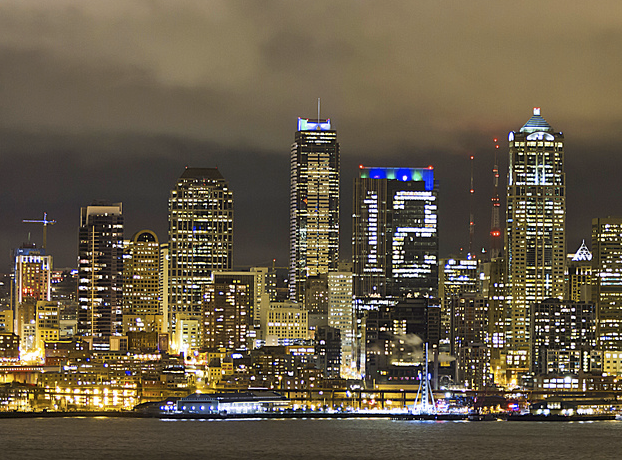 Seattle fans are quite proud of being the "12th" man on their Seattle Seahawks football team. As American football goes into its playoff season, the team has home-field advantage for all of its playoff games - and this is quite an advantage as our football stadium is famous for being the loudest in the country. We are seeing the number 12 with blue and green all over the city - including on our downtown office buildings at night. 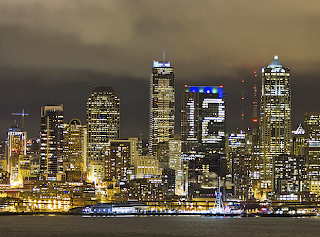 This is the Russell Investments Center building in downtown Seattle photographed by David Rosen of SlickPix Photography.